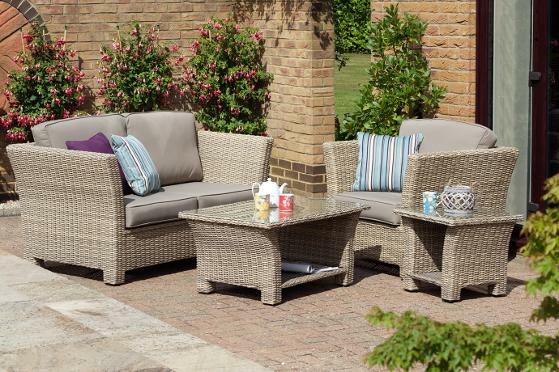 Please phone 01204 846677 to check which Daro Outdoor models are in stock before visiting the showroom. Stunning new range for 2016 in a Grey Polish. Offering a contemporary character to any outdoor space. Daro operates a 3 tier fabric system. Category 1 is the cheapest fabric. Premium are more expensive fabrics and have a suede, soft touch feel to them. All of the fabrics are removable and can be dry cleaned. All outdoor fabrics are suitable for outdoor use, however, Daro recommend that all cushions are stored indoors when not in use. Daro offers a 5 year structural guarantee on all of its outdoor frames. For more information click HERE.